Your business’ success relies in no small part on how secure you keep it, and to be protected, you need to know what threats are apt to target your business. Below are four of the biggest concerns that you need to be sure that your security implementations address. Passwords can be a handy tool for maintaining data security, assuming that they have been created correctly, with best practices in mind. For instance, a password shouldn’t be used for more than one account. It’s bad enough to have to deal with a single account being stolen, let alone access to all of your accounts. Furthermore, you need to strike a balance between your password being easy to remember and difficult to guess. While you don’t want it to be too easy for someone else to puzzle out, it also wouldn’t help you much if you kept forgetting it, either. This is why a passphrase is a useful alternative. A passphrase is precisely what it sounds like: instead of relying on a word to secure access to an account, you utilize a phrase. Necessary substitution can also help boost your security as well. Not all applications are created equal, and we’re talking about more than just their quality. While the official app marketplaces attempt to weed out any potentially threatening downloads, there are no such hurdles for those apps found outside these official channels. This makes them particularly risky to download. Of course, that isn’t to say that an app downloaded from the official marketplace is guaranteed to be safe, either. Plenty plays fast and loose with a user’s data, so make sure you check what permissions you give them. Does it make sense for an app to need access to a particular piece of data? If not, you may consider giving that app a pass. Cybercriminals don’t always have to resort to breaking into a system to accomplish their goals. Instead, they can use deception and a user’s expectations to manipulate them into acting against their self-interests. These efforts are referred to as phishing. Phishing scams can appear in many forms, from the classic Nigerian Prince example to the many that look today asserting that a victim’s systems have been compromised, only to compromise them once access is granted. Fortunately, there are a few ways that these attacks can be avoided through observation and diligence. It is essential that you and your staff keep an eye out for any inconsistencies in messages that come in. If there ever is a cause for suspicion, confirm the email through a secondary means of communication. While it may be a pain, it would be much worse to be on the receiving end of a successful phishing scam. Wireless Internet functionality has enabled businesses to move away from the desktop workstation, allowing business to be conducted with more mobility and convenience. However, just as Wi-Fi has created more opportunities for businesses, it has given cybercriminals more opportunities as well. Whether you’re in your office or on the road, there are certain precautions you need to take to ensure you can connect safely. 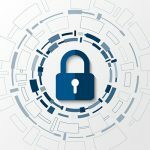 Your office’s connection needs to be adequately secured, which means that you need to change the credentials on your equipment. Many people keep the default access codes on things like routers, which makes them the ideal target for an opportunistic hacker. Likewise, public Wi-Fi connections are also highly prone to cybersecurity issues, and should, therefore, be used only with a virtual private network protecting your activity. Compudata can offer the expertise and assistance to protect your network against all kinds of threats. For more information, reach out to us at 1-855-405-8889.